On this week's episode of HomeTech: Richard Gunther, long-time friend of the show and host of the Home: On Podcast, joins us for a comprehensive wrap-up of Apple's recent WWDC. From significant (if a bit under-the- radar) HomeKit updates, to a spirited discussion about Apple's new HomePod product, and everything in between, this episode covers all you need to know about Apple's latest event. On this week's episode of HomeTech: We proudly unveil the world premier of the HomeTech "Projects Project" (yes, still working on that name). Featuring an installation by Rob Lombardo. Rob utilized all DIY tech to add some really neat flare to his outdoor living space including under-rail LED lighting, pool and lighting control by INSTEON, and of course some audio via Sonos. That plus... Amazon releases a new Echo targeted at the Greatest Generation. Ikea's smart lighting solutions just got a lot smarter. Verizon throws their hat into an increasingly competitive streaming TV market. And Nest is working on a 4K camera... sort of. On this week's episode of HomeTech: We catch up with Kris Gamble, founder of the UK-based Customised and creator of the now-legendary #LiveInstall hashtag. Never one to color inside the lines, Kris shares a number of updates surrounding his latest efforts to mix it up in the smart home. From a new-found focus on social media platforms beyond of his Twitter wheelhouse, to an installation marketing campaign aimed at disrupting traditional business models, Kris is living up to his reputation for charting new territory in the connected home business. That plus... Thoughts on Vin Bruno's departure from CEDIA. A wrap-up of the biggest stories from Google IO. A tour of HomeKit's premier in the builder market. And a revolutionary new approach to smart home sensors that might just give us a glimpse of the future. On this week's episode of HomeTech: We are joined by Sean Miller, President of PointCentral, to discuss the company's unique approach to the smart home market. PointCentral leverages popular home technology products to drive value in both the long term and short term rental markets. Selling into a variety of verticals, PointCentral offers an attractive solution for property managers and renters alike. On this week's episode of HomeTech: We are joined by Bruno Napoli, Founder of Krika and long time friend of the show. Bruno joins us to discuss a recent blog post of his that has home technology professionals all over the world engaged in a raging debate about the future of the industry. Bruno's post outlines his strong opinions about what the efforts of GAFA (Google, Apple, Facebook, and Amazon) in the smart home mean to traditional home technology companies. And our interview with him is easily the most spirited conversation we've had in 3+ years of doing the show. It's not to be missed! A very quick show this week to launch an initiate we've been dreaming up for a few months. If you have a home technology project of any size at any stage head on over to hometech.fm/projects and let us know about it! EPISODE 152 - UNPLUG THAT TV! On this week's episode of HomeTech: Seth and Jason sit down to dissect the biggest stories of the week including: Just a bunch of spies doing their job. Apple puts out some shiny HomeKit marketing. Rumors of a new indoor camera from Amazon. Thoughts on the so-called "Lutron Tax"' and Crestron's new (not-so?) easy-to-setup lighting control system. And what Sonos' efforts to fend off the disrupters shows us about the smart home. 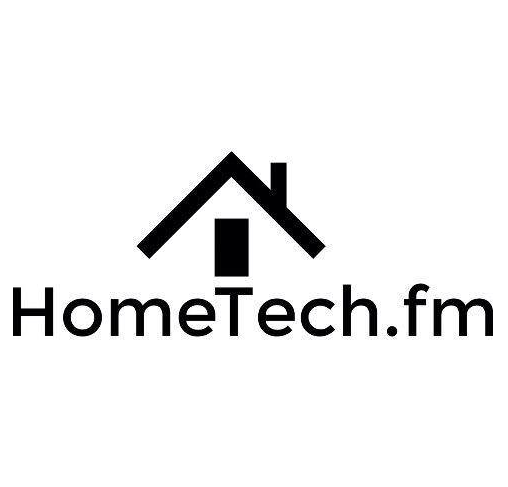 On this week's episode of HomeTech: We are joined by Mitch Klein, Executive Director of the Z-Wave Alliance for an in-depth conversation about the technology and what is new with the alliance. Long a stalwart in the connected home, Mitch discusses what makes the technology so appealing to end-users, installers, and service providers alike. Additionally we explore some recent developments, particularly in the area of cybersecurity, that the alliance is focused on as they look to maintain their dominant position in the worldwide connected home market. That plus... we belatedly celebrate 3-years of HomeTech! AWS sneezes and half the internet gets a flu. Jason has another tactile control product to drool over. And an spirited chat about the future of TV sparked by YouTube's new offering for cord cutters. That plus... rumors of a new Sonos product, finally! - but will it be worth the wait? A truly novel approach to the TV experience from a startup called Caavo - but will it catch-on? Visio gets caught with their hand in the cookie jar. And just how much does a HomeKit-outfitted house cost? On this all-interview episode we present Jason's extended coverage of the show floor of ISE 2017 in Amsterdam.